As Parts Assistant, Todd is responsible for assisting the Parts Coordinator in ordering the right parts, to the right place, at the right time. Todd grew up in Spooner, Wisconsin and has always had an interest in airplanes. Todd spent 4 years on active duty in the Air Force in vehicle maintenance and has been in the Air Force Reserve since 1997 working in finance. Todd holds a Bachelor of Science degree in Business Administration and an Applied Science degree in Financial Management. 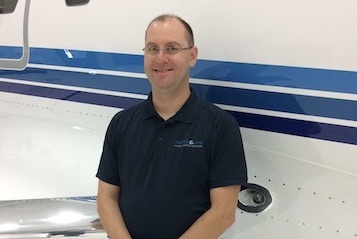 Todd is a private pilot and enjoys snowmobiling, fishing, and reading. He also enjoys hanging out with his wife and 2 children.